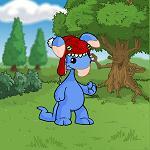 Neopets are generally fun-loving, playful, adventurous creatures. They love it when you feed them, play games with them, groom them, or let them play with their favorite toys. Every moment you spend with your Neopet is a moment that they treasure. But what do your Neopets do when you aren't around? How can the poor things keep themselves occupied in the hours that you have to do housekeeping, or go to school or work, or even the long hours you sleep? The answer is simple. Why, they play with their Petpets, of course! However, as you may have noticed, Neopets do not come with their own Petpet automatically. You have to choose which one to buy for him or her. But which Petpet should you get for your Neopet? You want to find a perfect little companion, one that your Neopet will treasure. The Petpet will have to be fed, groomed and played with by your Neopet, not you, so it will have to inspire loyalty and a protective instinct into him or her. It should also have a least a few things in common with your Neopet, so that they have a good chance of forming a deep and permanent bond. I can't tell you how many topics I've seen on the Help Board with names something along the lines of “Which Petpet should I get for my pet?”, and there are usually several totally different ideas suggested. With more than four hundred different Petpets out there, plus all the different paint brush and lab ray options, how in Neopia do you choose just one for your Neopet? Have no fear, this guide is here! It will help you decide which Petpet would be the best fit for your Neopet based on several different criteria. There should be something here for everybody! It helps to know what different Petpets look like. Many of them can be found at the Petpet Puddle, which shows names and pictures of all but the rarest Petpets, and the different paint brush colors for them. For the rarer ones, you might want to use a Petpage guide, such as the excellent one on the petpage for 100bottles. I highly recommend that you go and take a look at that petpage now, before I continue, so that you have a general idea of what the different Petpets look like. I'll wait. Finished? Great, moving on then. Now that you've seen what Petpets are out there, the next logical question is, where can you get them? Lucky for you, there are all kinds of places to get Petpets. Almost every land in Neopia has their own Petpet shop, so if you're fast, you might be able to grab one there. If you can't find one you like at any of the Neopian shops, how about user shops or the Trading Post? Many sellers specialize in selling only Petpets, and therefore have a large selection at all times. Finally, some Petpets can even be won from certain games (like the Wheel of Monotony, the Meteor Crash Site 725-XZ, or Test Your Strength)! What if, while you're looking over the various Petpets, you find one that you just absolutely fall in love with? You're just sure that your Neopet would love it, too, but is there really any good reason for choosing that Petpet over another one? The answer is, yes! Go ahead and get it. If you are fortunate enough to experience “love at first sight”, then nothing else matters. In fact, you can skip the rest of this guide and go read the comics or something. But I suspect that most of you will look at all those Petpets and think, “There is NO WAY that I can pick one Petpet out of all those for my Neopet. I'm doomed!”. Nah, you aren't doomed. Come with me, and I'll help you out. Of course, these categories can also be mixed and matched to serve specific Petpet needs, but we'll go over that at the end. For right now, let's start out with the first category. Color matching is an extremely popular way of picking out a Petpet for your Neopet. Especially now that customization is available, users want to make sure that everything about their pet is coordinated and organized. And from a Neopet's standpoint, it's always important to have something in common with your best friend. I've seen Neopets go crazy with excitement when they've realized that their new friend had the same fur color as they did, so can you imagine how a Neopet would feel if they shared the same color scheme with their new little buddy? This method can also be great for newly painted or lab zapped pets that are still trying to adjust to the change. Suppose you've just painted your Neopet pink: what better way to help her feel more comfortable in her new color than to give her an adorable, pink Petpet! So how do I color match, you ask? Simple! First, take a good look at your Neopet. Yes, that description might say he's a “Yellow” Xweetok, but take a closer look. He's not entirely yellow, but actually has multiple colors: yellow, brown, black, and even a bit of pink in his ears. So, while you could go the simple route and just get him a Yellow Meepit or Yellow Floud, why not explore just a little? Are there any Petpets that have more of his colors in them? With a little research, you'd find that a Flowper and a Yellow Melvie have both yellow AND brown, while a Yellow Tigermouse is yellow with pink in its ears. You're getting closer. With a bit more research, you'd notice that a Carmariller is yellow and brown, AND has pink in its ears! Now that's a pretty close match! As you can see, there are plenty of Petpets to choose from! Also, please notice that the Jawshell had just as many matching colors as did the Disco Tenna. Just because a Petpet is the same paint brush color as your Neopet does not automatically mean that it is the best match. In fact, some paint brushes can have a totally different color scheme depending on the Neopet or Petpet that they are used on, so watch out! A Spotted Kadoatie doesn't match a Spotted Tuskaninny's colors at all, for instance. Look around and be observant! Well, there you have it. Color matching can help you choose a Petpet that will be a lovely compliment to your beautiful Neopet, and will immediately have something in common with him or her. In Part II, we'll go over species matching, but until then, happy searching! "I think I was chasing a talking cookie through Sakhmet, only the buildings were lime green with purple polka-dots..."
"For those of you who don't know, I'm Über Usul, and I'm speaking on behalf of Terror Mountain Realty..."